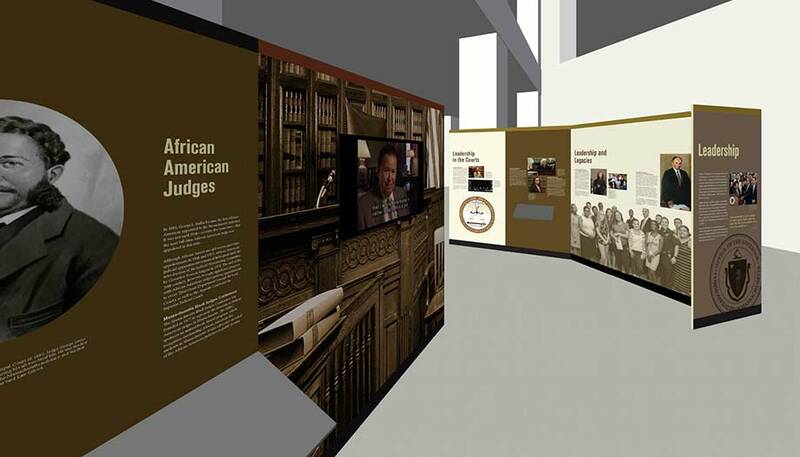 We are grateful to the many people who made Long Road to Justice possible, from its start as a traveling exhibition to its permanent installation in Boston’s Edward W. Brooke Courthouse in 2018. The Justice George Lewis Ruffin Society is an organization of criminal justice professionals in the Commonwealth of Massachusetts named in honor of the first African American judge appointed to the Massachusetts bench. Appointed by Governor Benjamin Butler in 1883, Judge Ruffin was also the first black graduate of Harvard Law School. The Society, which is affiliated with the School of Criminology and Criminal Justice at Northeastern University, was founded in 1984 to encourage greater understanding between the minority community of Massachusetts and the criminal justice professions. The Ruffin Society is devoted to the improvement of the law, the legal system, and the administration of justice through the presentation of educational programs, seminars, and statewide criminal justice convocations. To help correct the racial imbalance in the Boston Police Department, which employed only one minority superior officer in 1985, the Ruffin Society organized an exam preparation course for minority officers taking the Boston Police Department police promotional examination. With the assistance of the School of Criminology and Criminal Justice, more than 90 officers took the course. In 1986, 15 minority officers who finished the Ruffin course were promoted to the rank of sergeant, including the first Latino, the first Asian and the first black woman in the department’s history. By 2000, more than 50 minority superior officers, many of whom were products of the Ruffin course, had been appointed to the rank of sergeant in the Boston Police Department. Since its work with the Ruffin Society, the Boston Police Department has continued the promotion of minority officers to all ranks. For 2017, the Boston Police Department had the first African American superintendent-in-chief, 10 minority members of the command staff, three minority captains and 76 superior officers and superior detectives. The Ruffin Society has offered educational programs on the use of DNA in criminal investigations, on use of deadly force regulations, and on police stop-and-frisk practices. In 1984, the Honorable Julian T. Houston convened a group of seven senior, minority criminal justice professionals in his chambers at the Roxbury Court to form the Justice George L. Ruffin Society. Since that time, he has been the inspiration for many Ruffin Society programs, including the Long Road to Justice exhibit. Judge Houston chairs the executive committee of the exhibit and has overseen its development from the beginning. Judge Houston was appointed a Justice of the Superior Court of Massachusetts in 1990. He had previously served for eleven years as a Justice of the Roxbury District Court. 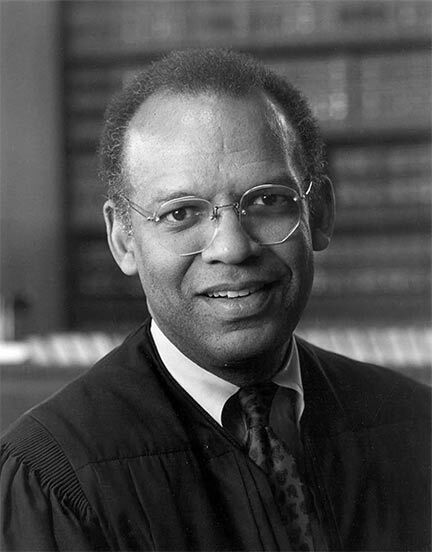 Judge Houston has been the architect of a number of innovative programs since his appointment to the bench: Roxbury Youthworks, Inc., a community based program providing services to young people, and the Roxbury District Court Child-Care Center, the first court-based child-care center in New England. In 1997, as a result of his leadership, a portrait of the Honorable Edward O. Gourdin, the first African American to serve on the Superior Court, was commissioned and unveiled. 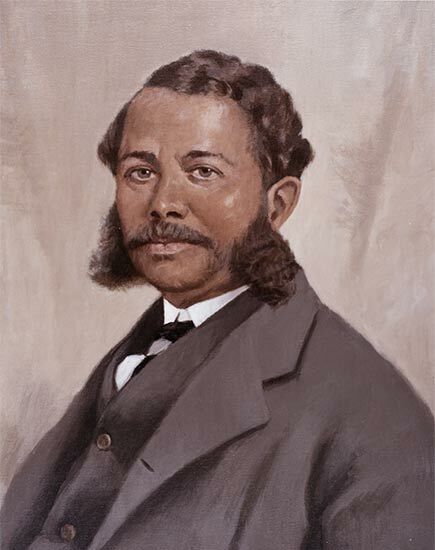 It is the first portrait of an African American Superior Court Justice hanging in a Massachusetts courtroom. Judge Houston served as a Trustee of the Boston Symphony Orchestra and led the planning for the 1994 week-long Tribute to Roland Hayes, which honored the first African American concert singer. Judge Houston serves as a Life Trustee of the Isabella Stewart Gardner Museum. Judge Houston is a graduate of Boston University and Boston University School of Law.